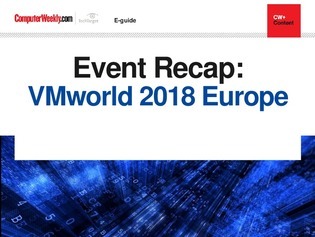 It is the 20th anniversary year for VMware and at the VMware European conference in Barcelona, the company famous for its hypervisor, showcased how it had changed the face of IT, and where it was heading next. For many, virtualisation has become a no-brainer: take physical servers and virtualise the workloads. This approach has enabled businesses to consolidate and modernise large server estates, using larger servers, segmented into multiple virtual machines, each running a workload that previously would have required a physical server. For its CEO, Pat Gelsinger, this approach to running datacentres has resulted in companies making massive savings on the energy required to run large x86-based server estates. At VMworld, the company has now extended the benefits of virtualisation to the world of blockchain which, incidentally, has the potential to consume vast amounts of server power. Beyond virtualisation, Gelsinger used his keynote to speak out about the responsibility of the tech industry. But while industry leaders discussed the role of IT in society, the real focus of the event was about what VMware is going to be doing next - and it is fair to say that the company is lining up to follow Gartner’s Hyper cycle on emerging technologies. Certainly, blockchain and artificial intelligence are on the cards. Among the technology bets VMware is making is in-memory computing, with the introduction in 2019 of Intel’s Optane platform, which will replace SSD in hyperconverged systems. In fact, on November 12, Evaluator Group published new record IOmark-VM-HC benchmark for a VMware vSAN using Intel Optane. The Intel based hyperconverged system comprised of 4 Intel Xeon scalable processor servers, together with Intel Optane SSD storage and VMware vSAN software achieved results of 1,152 IOmark-VMs at a price of $216.23 / IOmark-VM. According to Evaluator Group, the cost per VM of this configuration is a third of the cost of the previous best ($667 per VM). More near term, VMware now regards containers as a viable enterprise platform for its existing customers. Its approach to containerisation is about offering on-premise Kubernetes through VMware PKS (Pivotal Kubernetes on Bosh platform) and Cloud PKS, to support public cloud deployments. During VMworld, the company also announced it would be acquiring Heptio.